As an alternative to St Moritz, the adjacent village of Celerina offers less après ski but plenty of winter sports action. 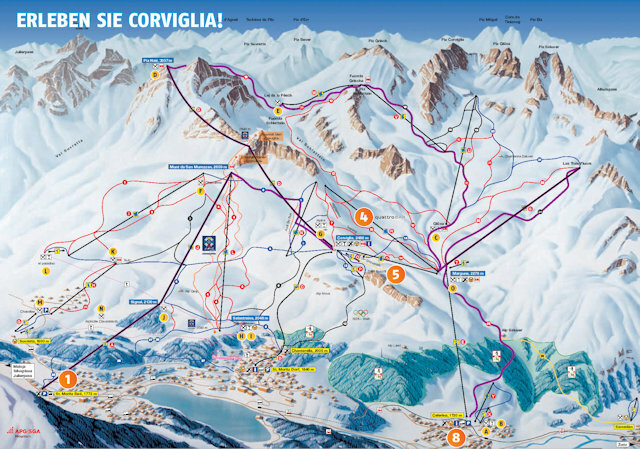 A gondola runs to the main pistes at Corviglia/Piz Nair and nearby Muottas Muragl is good for winter walking and tobogganing - you can even stay overnight in an igloo at the top. There is skating, curling and bob sleigh in the village and extensive cross-country and scenic winter walks throughout the area. Celerina also hosts the Olympic bobsleigh run, the oldest in the world, where you can have an exhilarating run down the slope with a professional pilot and brakeman. The nearest airport to Celerina is Zurich. There is a railway station in the airport. The scenic run from Fuorcia Gischa is 7k long and brings you back down to Celerina. The best destination to access the downhill slopes by public transport in this ski area is Celerina. Celerina station is ten minutes walk from the Marguns gondola up Corviglia. Romantik Hotel Chesa Salis, Bever Rated a historic hotel by the Swiss Tourist Board. Misani, Celerina (3*) Ranked #5 by Tages-Anzeiger amongst Swiss 3* Hotels. Hotel Chesa Rosatsch, Celerina Ranked #1 in Celerina by TripAdvisor. Hotel Zur Alten Brauerei, Celerina Family hotel. Hotel Chesa Surlej, Surlej Very near the Corvatschbahn cable car and adjacent to the nursery slopes. Krone, La Punt (3*) Ranked #3 by Tages-Anzeiger amongst Swiss 3* Hotels. Hotel Saratz, Pontresina Ranked #2 in Pontresina by TripAdvisor. Grand Hotel Kronenhof, Pontresina (5*) Ranked #7 by Tages-Anzeiger amongst Swiss 5* Hotels and #1 in Pontresina by TripAdvisor. Walther, Pontresina (4*) Ranked #15 by Tages-Anzeiger amongst Swiss 4* Hotels and #5 in Pontresina by TripAdvisor. Hotel Walther, Pontresina Ranked #5 in Pontresina by TripAdvisor. Hotel Mueller, Pontresina Ranked #6 in Pontresina by TripAdvisor. Sporthotel, Pontresina (3*) Ranked #7 by Tages-Anzeiger amongst Swiss 3* Hotels. Hotel Rosatsch, Pontresina Ranked #3 in Pontresina by TripAdvisor. Hotel Allegra, Pontresina Ranked #4 in Pontresina by TripAdvisor. Hotel Albris, Pontresina Ranked #7 in Pontresina by TripAdvisor. Pontresina Youth Hostel, Pontresina (Hostel) Right next door to the train station. Musik- und Kulturhotel Palazzo Mÿsanus, Samedan Rated a historic hotel by the Swiss Tourist Board. Hotel Waldhaus, Sils (5*) Rated a historic hotel by the Swiss Tourist Board, and ranked #1 in Sils-Maria by TripAdvisor. 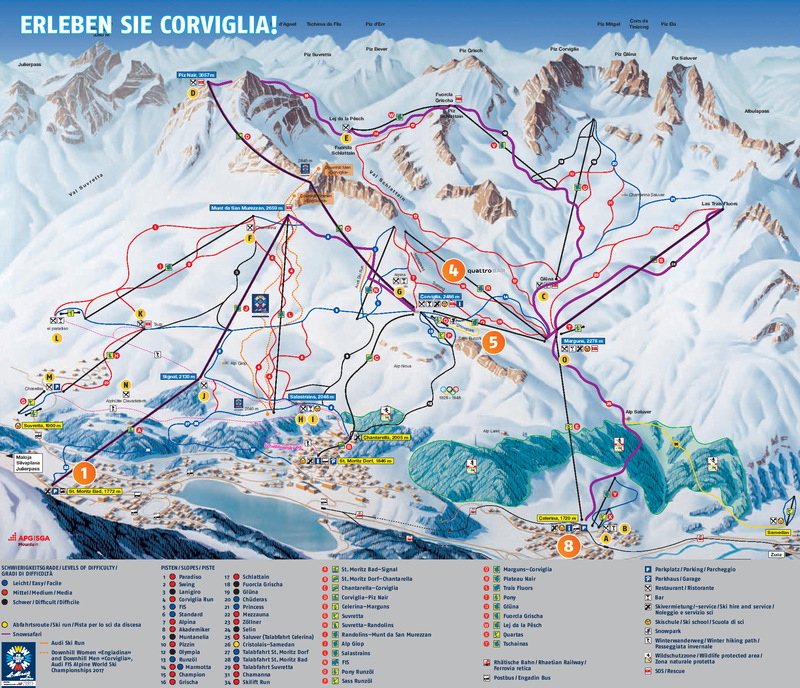 Nira Alpina, Surlej Ski-in, ski-out luxury adjacent to the Corvatschbahn cable car and the nursery slopes. Kempinski Grand Hotel des Bains , St Moritz (5*) Ranked #13 by Tages-Anzeiger amongst Swiss 5* Hotels, and ranked #2 in St Moritz by TripAdvisor. Badrutt's Palace, St Moritz (5*) Ranked #1 by Tages-Anzeiger amongst Swiss 5* Hotels and #1 in St Moritz by TripAdvisor. 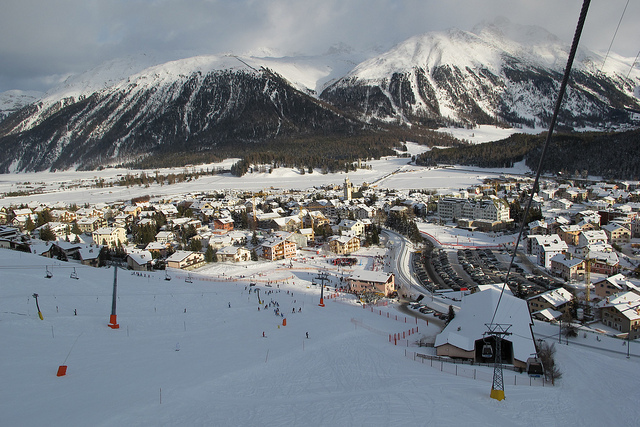 Kulm, St Moritz (5*) Ranked #4 by Tages-Anzeiger amongst Swiss 5* Hotels and #3 in St Moritz by TripAdvisor. The Carlton, St Moritz (5*) Ranked #5 by Tages-Anzeiger amongst Swiss 5* Hotels. Suvretta House, St Moritz (5*) Ranked #9 by Tages-Anzeiger amongst Swiss 5* Hotels. Hotel La Margna, St Moritz (4*) Rated a historic hotel by the Swiss Tourist Board. Crystal Hotel, St Moritz Ranked #5 in St Moritz by TripAdvisor. Waldhaus am See, St Moritz (3*) Ranked #1 by Tages-Anzeiger amongst Swiss 3* Hotels. Hotel Hauser, St Moritz Ranked #4 in St Moritz by TripAdvisor. Hotel Bären, St Moritz Convenient for Bobsleigh and Cresta runs. St Moritz Bad Youth Hostel, St Moritz (Hostel) On #9 bus route convenient for St Moritz station and Corviglia. .
Hotel Engiadina, Zuoz Ranked #2 in Zuoz by TripAdvisor. Castell, Zuoz (4*) Ranked #4 by Tages-Anzeiger amongst Swiss 4* Hotels and ranked #1 in Zuoz by TripAdvisor. Did you ski Celerina or snowboard in Celerina? What did you think? Have you taken the train to Celerina? Do you have any tips on accommodation in Celerina or the apres ski? 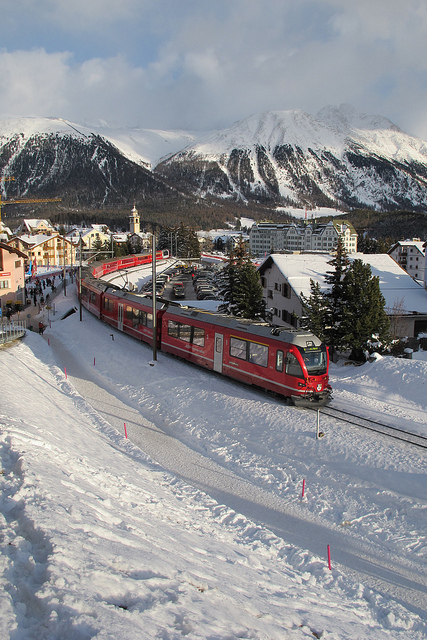 Is there anywhere else you have taken the train to ski? if so, please contact us and share you experiences using the contact link at the foot of the page. For more details on Swiss resorts visit our sister site at Swiss Winter Sports.